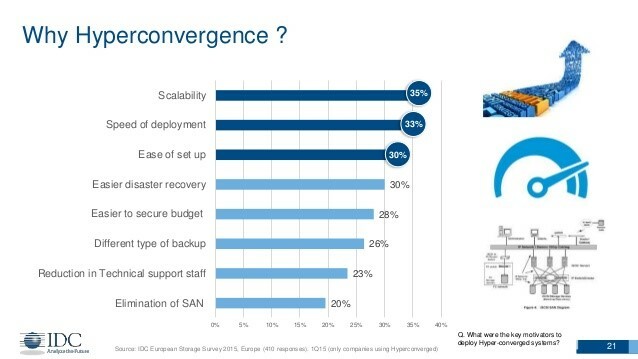 Hyper-converged infrastructure (HCI) is a fully software-defined IT infrastructure that virtualizes all of the elements of conventional "hardware-defined" systems. HCI includes, at a minimum, virtualized Computing (a hypervisor), a Virtualized Storage (software-defined storage) and Virtualized networking (software-defined networking). HCI typically runs on industry-standard x86 servers. Kaigen provides End to End support in Design, Deployment & management of leading Hyper Converged Infrastructure Technologies like Nutanix, Vmware, Dell, Oracle etc. Start small without high upfront costs (Capex reduction). Creation of hyper-scale capabilities within Data Center. Direct integration with the software layer for simple Scale out architecture. Integrated VDI, convergence, and hypervisor management. Predictable performance as setup is scaled out. Lower storage requirement using de-duplication. Rapid-scale deployment of VMs and applications. Greater levels of application, desktop, and user densities. Leveraging all-flash systems for Business Critical Applications. integration with cloud systems as Backup site or Disaster Recovery Site (DR). Increased capabilities around resiliency, business continuity, and disaster recovery. Technical Consultation with ROI and TCO reports of HCI along with CAPEX and OPEX. Our Experienced Consultants and Engineers provides End to End support of leading Hyper Converged Infrastructure Technologies like Nutanix, Vmware, Simplivity, Dell, Oracle etc.